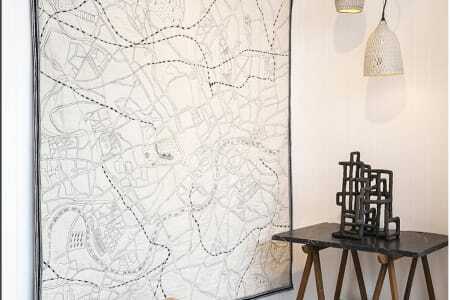 Ekta Kaul is a London based textile design studio established by award winning designer Ekta Kaul in 2008. We create luxurious textiles that celebrate a contemporary, pared down aesthetic and focus on simplicity, craftsmanship & timeless style. Our textiles are imbued with character, they speak of exceptional hand craftsmanship, careful attention to detail and a sensitive use of materials & colours. Soft cashmeres, sumptuous silks & fine wools are embroidered, hand-dyed and printed in simple graphic compositions using time-honoured methods. We create bespoke quilts based on city maps & small editions of accessories in bold colours. Following her training in Fashion at India’s premier design school, the National Institute of Design (NID, Ahmedabad), Ekta won the Charles Wallace and British Council scholarships to pursue MA Textiles in the UK & developed a unique creative voice assimilating influences from both countries. Since setting up her studio practice in 2008, she has gained the following of a discerning audience – those who value considered design, integrity of materials & provenance. 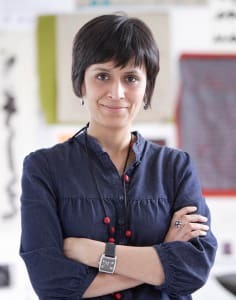 Her work is stocked at select stores & galleries in the UK including Contemporary Applied Arts, Designers Guild, Ruthin Craft Centre among others. She has received awards from the Crafts Council and the Arts Council, England & was nominated for the Arts Foundation Fellowship in 2010. She works from her studio at Cockpit Arts in Bloomsbury, Central London. 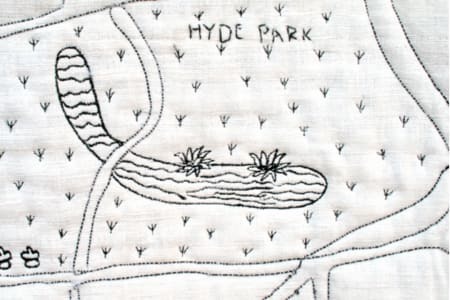 A fantastic workshop where you can choose your own section of London to embroider. 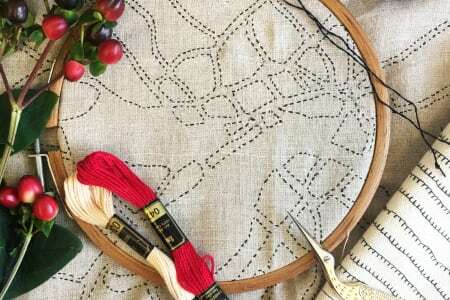 It felt like less of a class and more of a friendly coffee morning - with stitching. I will definitely be back to another course with Etka.